Hardcover, 8.25 x 12 in. / 156 pgs / 97 color / 5 bw. Foreword by Lawrence Rinder. Text by Robert Storr. 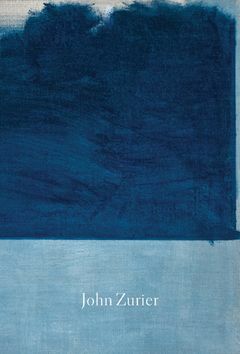 This volume offers the first and most complete overview of the art of Berkeley-based painter John Zurier (born 1956). The book contains 97 full-color reproductions of his abstract oil paintings, with an essay by Robert Storr. FORMAT: Hbk, 8.25 x 12 in. / 156 pgs / 97 color / 5 b&w.